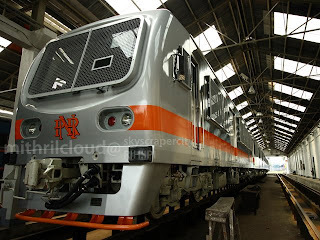 The fact is PNR is entering a new era with the arrival of their first new railcar from Korea (the south one - now the rather psychotic northern version). The RIHSPI group visited there on Sunday March 29th and MithrilCloud snapped this piccie of it. President Arroyo will soon be braving a ride on the new beast.